Major depressive disorder (MDD) is a prevalent illness in minority populations. Minority patients with MDD are often unrecognized and untreated. 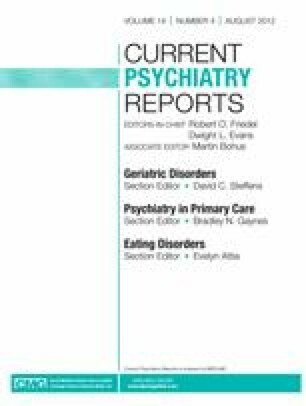 This review examines promising interventions to address MDD in primary care settings, where minority groups are more likely to seek care. Since 2010, eleven interventions have been developed to address patient-specific and provider-specific barriers, many of which are adaptations of the collaborative care model. Other promising interventions include cultural tailoring of the collaborative care model, as well as the addition of telepsychiatry, motivational interviewing, cultural consultation, and innovations in interpreting. Overall, collaborative care was found feasible and improved satisfaction and treatment engagement of depressed minority patients in primary care. It remains inconclusive whether these newer intervention models improve MDD treatment outcomes. Future research will be needed to establish the effectiveness of these intervention models in improving the treatment outcomes of minority populations with MDD. Drs. Hails, Brill, Yeung, and reported no potential conflicts of interest. Dr. Chang has served as a consultant for OptumInsight; has received research support from AstraZeneca, CeNeRx BioPharma, Euthymics Bioscience, Forest Pharmaceuticals, GlaxoSmithKline, Johnson & Johnson, and Pfizer; and has received honoraria from and had travel/accommodations expenses covered/reimbursed by Bristol-Myers Squibb. Dr. Fava has received equity holdings from Compellis; has received royalties from Lippincott Williams & Wilkins, Wolters Kluwer, and World Scientific Publishing; has received compensation for editing from Belvoir Media Group, Massachusetts General Hospital Psychiatry Academy, CME Institute/Physicians Postgraduate Press, and Association for Health Research & Development (ACINDES); has received honoraria from Eisai, Johnson & Johnson Pharmaceutical Research & Development, Lundbeck, Pfizer, and Servier Laboratories; has served as a board member of BrainCells, Bristol-Myers Squibb, Eisai, EnVivo Pharmaceuticals, Ganeden Biotech, Genomind, Johnson & Johnson, Lundbeck/Takeda, National Institute on Drug Abuse (NIDA), Neuronetics, PsychoGenics, Psylin Neurosciences, Schering-Plough, Transcept Pharmaceuticals; has received patents for Sequential Parallel Comparison Design (SPCD), a patent for research and licensing of SPCD with RCT Logic, a patent application for a combination of azapirones and bupropion in major depressive disorder (MDD), and copyright royalties for the MGH Cognitive and Physical Functioning Questionnaire (CPFQ), Sexual Functioning Inventory (SFI), Antidepressant Treatment Response Questionnaire (ATRQ), Discontinuation-Emergent Signs & Symptoms (DESS), and SAFER; has received research support from National Institute of Mental Health (NIMH), National Center for Complementary and Alternative Medicine (NCCAM), National Institutes of Health (NIH), NIDA, Bristol-Myers Squibb, Ganeden Biotech, Johnson & Johnson, Pamlab, Clinical Trials Solutions, Pfizer Forest, CeNeRx BioPharma, i3Research, Euthymics Bioscience, Covance, GlaxoSmithKline, AstraZeneca, Novartis, Roche, and Sanofi-Aventis; and has served as a consultant for Abbott Laboratories, Affectis Pharmaceuticals, Alkermes, Amarin Pharma, Aspect Medical Systems, AstraZeneca, Auspex Pharmaceuticals, Bayer, Best Practice Project Management, BioMarin Pharmaceutical, Biovail Corporation, BrainCells, Bristol-Myers Squibb, CeNeRx BioPharma, Cephalon, Clinical Trials Solutions, CNS Response, Compellis Pharmaceuticals, Cypress Pharmaceutical, DiagnoSearch Life Sciences, Dainippon Sumitomo Pharma, DOV Pharmaceutical, Edgemont Pharmaceuticals, Eisai, Eli Lilly and Company, EnVivo Pharmaceuticals, ePharmaSolutions, EPIX Pharmaceuticals, Euthymics Bioscience, Fabre-Kramer Pharmaceuticals, Forest Pharmaceuticals, Genomind, GlaxoSmithKline, Grünenthal, i3 Innovus/Ingenis, Janssen Pharmaceuticals, Jazz Pharmaceuticals, Johnson & Johnson Pharmaceutical Research & Development, Knoll Pharmaceuticals, Labopharm, Lorex Pharmaceuticals, Lundbeck, MedAvante, Merck & Co., MSI Methylation Sciences, Naurex; Neuronetics, NextWave Pharmaceuticals, Novartis, Nutrition 21, Orexigen Therapeutics, Organon Pharmaceuticals, Otsuka Pharmaceuticals, Pamlab, Pfizer, PharmaStar, Pharmavite, PharmoRx Therapeutics, Precision Human Biolaboratory, Prexa Pharmaceuticals, Puretech Ventures, PsychoGenics, Psylin Neurosciences, Rexahn Pharmaceuticals, Ridge Diagnostics, Roche, RCT Logic, Sanofi-Aventis, Sepracor, Servier Laboratories; Schering-Plough, Solvay Pharmaceuticals, Somaxon Pharmaceuticals, Somerset Pharmaceuticals, Sunovion Pharmaceuticals; Supernus Pharmaceuticals, Synthelabo, Takeda, Tal Medical, Tetragenex Pharmaceuticals, TransForm Pharmaceuticals, Transcept Pharmaceuticals, Vanda Pharmaceuticals.